Lake Erie is the smallest of the Great Lakes in volume (119 cubic miles) and is exposed to the greatest effects from urbanization and agriculture. Measuring 241 miles across and 57 miles from north to south, the lake’s surface is just under 10,000 square miles, with 871 miles of shoreline. 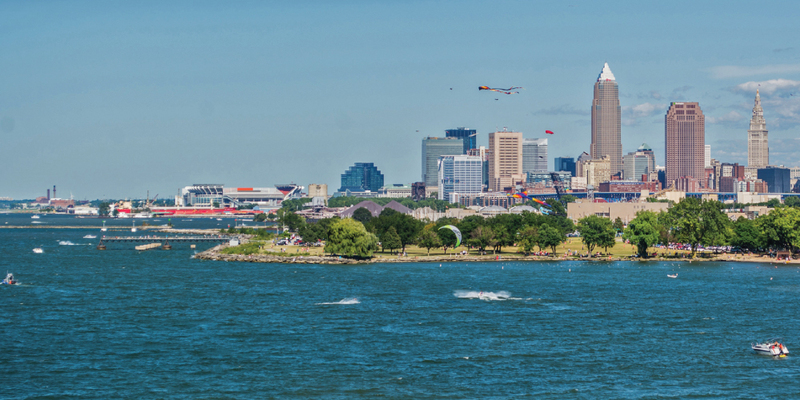 The average depth of Lake Erie is only about 62 feet (210 feet, maximum). It therefore warms rapidly in the spring and summer, and frequently freezes over in winter. The drainage basin covers parts of Indiana, Michigan, Ohio, Pennsylvania, New York and Ontario. Because of its fertile soils, the basin is intensively farmed and is the most densely populated of the five lake basins.